Simultaneously the diagnosis of and antidote to the modern Hollywood blockbuster. To say that Mad Max: Fury Road is spectacular (in the sense that it is a film which is built on spectacle) may be obvious—its trailer (accurately) sells it as an anarchic, operatic symphony of dirt, cars, and explosions—but it is, if anything, even more visually engaged and engaging than we're used to. Director George Miller has stated that he took inspiration from the silent masters, but his film says this even louder for him. It creates scale with its set design and camera work. It keeps its stunts real and tactile and immediate. But far from a conservative, reactionary argument for a return to the imaginary past, Mad Max is a gleeful leap forward toward a future of visceral visual representation. It combines practical and digital effects in order to push its imagery right to the edge of its emotive capability. In a world where Netflix threatens to abduct the cinematic experience and trap it at home, where Michael Bay and Marvel Studios are the only entities capable of enticing audiences into theaters, Mad Max is a film which demands unconditionally to be seen on the big screen in a new and exciting way. It is irreverently cinematic. Mad Max stands out from other recent science fiction-tinted action vehicles not only because of the way Miller grounds the mayhem in practical stunts and orchestrated choreography: it also portrays its violence in an intelligent way. While it invites us to delight in its cornucopia of visual pleasures, it constantly reminds us that this violence is rooted in madness. 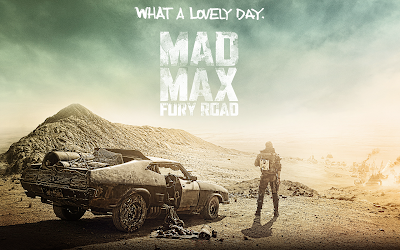 "Mad" Max isn't angry, he's insane, psychotic, driven out of his mind by the traumas laying in his past. Max has lost his ability to look forward and see anything positive in the future—he remarks in voiceover that he is only concerned with "survival," and in arriving at this mental state he has forgotten how to live. His compassion for others is gone, and in this way he serves as a microcosm for the rest of this devastated world. It is a universe driven by the posturing of obscene warlords who seem to model themselves on the curated decay of Lynch's Baron Harkonnen. These men worship their phallic machinery in a mirror image of the kind of adolescent dreams that fuel Hollywood—as well as another kind of patriarchy. Not content simply to be the greatest action blockbuster in recent memory (while at the same time attacking its own genre, throwing away the ladder after climbing up it), Max also trains his sights on contemporary capitalist ideology. 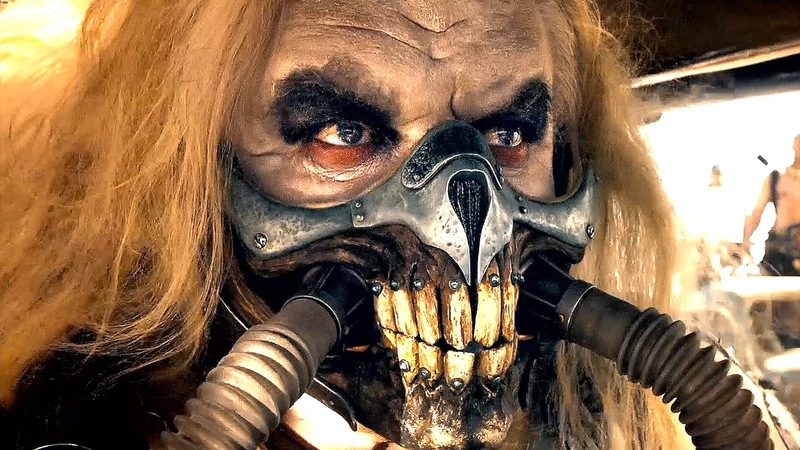 Immortan Joe represents the vile monarch of his crude community as much as he does the greedy CEO of a gasoline-hungry megacorporation (whose structures borrow just as much from the austere, imposing repression of Metropolis as the unfeeling, inhuman gears of Modern Times). He treats his five wives as objects whose use value is measured exclusively by their ability to bear children (male children, specifically—we must maintain the patriarchy, after all). And this objectification is reproduced at every level of society beneath him: the War Boys even use other human beings as sources of biological fuel ("blood bags"). The Mad Max series has always been concerned with the consequences of rampant overdevelopment and industrialization (in the 1979 original, society had crumbled under the weight of a major energy crisis), and here this idea of a post-futurist feudal dystopia is brought to its logical conclusion. The warlords not only utilize their soldiers as suicidal kamikaze bombers, but also exploit the labor of their children, as we see them working the machinery necessary to turn this evil man into an awful wizard. So how do we resolve this deadlock between the impotent populace and the omnipotent patriarch? In place of this obscene king, Max seeks to crown a queen—or, more precisely, a mother. The only heroes in this world gone mad are the corrupt warlord's five innocent wives, the only emblems of hope among the desolation. These mother figures represent the possibility of a different future, both through their naive optimism and their ability to bear children—both a figurative and literal symbol of the potential for change. And they are not only the prospective panacea to the world's madness, but to Max's as well: they allow him to see a future other than the one currently before his eyes. This may be a world ruled by men and their cars, but the future is female. 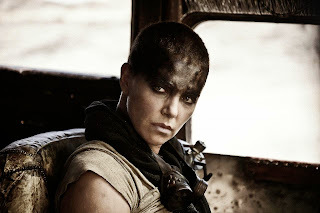 Mad Max cries for the care of motherhood in the ravaged desert of phallic male fantasy. Did you know that that you can generate dollars by locking special sections of your blog or site? To begin you need to open an account with AdWorkMedia and embed their content locking plug-in.